It's A Heartache was written by songwriters, Ronnie Scott & Steve Wolfe. Please see chord charts below for G/F, G/E, G/D bass run. Please Note: The Bass Run G/F, G/E, G/D uses the bass notes on the 4th string with the omission of strings 5 & 6. You don't have to play the bass run but give it a go - sounds great, especially if you are finger-picking. If you omit the bass run, simply play a G chord. Born: Gaynor Hopkins on the 8th June, 1951 Skewen, Neath, Wales. It's A Heartache & Total Eclipse Of The Heart are among the beast singles of all time with each song selling over 6 million units. 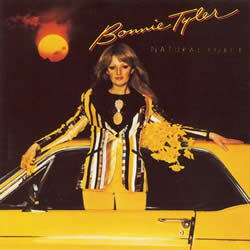 Her 1976 single, Lost in France led to her 1977 Brit Awards nomination for Best British Female Newcomer . 1979 - winner of the 10th World Popular Song Festival with Sitting on the Edge of the Ocean , representing the United Kingdom. 1980's - nominated for 2 Brit Awards & 3 Grammy Awards. 2013 - presented with the Gold Badge award by the British Academy of Songwriters, Composers and Authors (BASCA). 2013 - the first and only representative of the United Kingdom to receive a Eurovision Song Contest Radio award. It's A Heartache Sheet Music at MusicaNeo.Com - Piano/Vocal/Guitar - C Major - 7 pages - digital download. "It's A Heartache" chords and lyrics are provided for educational purposes and personal use only.